As a quick follow up to the post Breeders' Cup blog, it seems that voting shows most people believe Havre de Grace is the front-runner for Horse of the Year. All things being considered, she is the right the choice, even if it's by default. Flat Out, Ruler On Ice, and maybe even Drosselmeyer are possible for the Clark Handicap, but even if one of them were to win I don't see it having any bearing on Horse of the Year. A win by Flat Out or Drosselmeyer may affect the champion older horse voting, and a Ruler On Ice win might allow him to pick up additional votes for 3-year-old champ, but none of them would likely surpass Havre de Grace for Horse of the Year from what I can tell. At this point, the only horse I believe could surpass Havre de Grace with another victory is Game On Dude, and I haven't heard whether Baffert intends to run him again this year. Let's move on to the champion 2-year-old male, which will probably wind up being the most contentious division. Let's see how the voting comes out in our unofficial poll. Comparing the two main contenders, Union Rags has won the grade I Champagne and the grade II Saratoga Special--both by large margins. He also broke his maiden at Delaware Park. Hansen also has three wins, a maiden special weight and the ungraded Kentucky Cup Juvenile--both at Turfway Park--and the Breeders' Cup Juvenile when defeating Union Rags by a head. Which résumé is more impressive? Looking back at history, there is precedence for both sides. For those in the Union Rags camp you can look back to 1988. Easy Goer won the grade I Champagne and grade I Cowdin-both at Belmont-and had two other wins that season. He finished second by 1 1/4 lengths to Is It True at muddy Churchill in the BC Juvenile but still won the Eclipse Award. However, Is It True had just one win prior to the BC Juvenile--a maiden win--and had already been beaten twice by Easy Goer. Another pro-Union Rags example was in 1993. Dehere had won five races prior to the BC Juvenile, including the grade I Champagne and grade I Hopeful, grade II Saratoga Special, and grade III Sanford. He wound up finishing eighth to Brocco as the odds-on choice in the BC Juvenile but still won the Eclipse Award. Brocco was 3-for-3 after his five-length BC Juvenile score, but then finished second in the Hollywood Futurity to end his season. If you're in the Hansen camp, you can look back to 2001. Johannesburg made only one North American start, a win in the BC Cup Juvenile at Belmont. He won the Eclipse Award over Officer, who finished fifth in that race as the odds-on favorite. But Officer had five previous wins that year, including the grade III Best Pal, grade II Del Mar Futurity, and grade I Champagne. Or, you can go back to 1987, 1995, and 2004 when horses won the BC Juvenile but none of them won the championship. In each case horses that didn't even start in the Breeders' Cup (Forty Niner, Maria's Mon, and Declan's Moon) wound up taking home the hardware. The above examples are not perfect, as the circumstances surrounding all of them are a bit different. 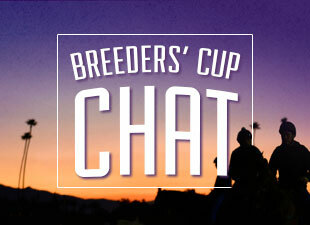 But they show how heavily, or in some cases how lightly, voters took the Breeders' Cup outcome. I expect the voting to be very close this year and Union Rags to get the nod.